This omnidirectional multi band antenna can be screwed on wall. The mounting bracket is made in plastic. 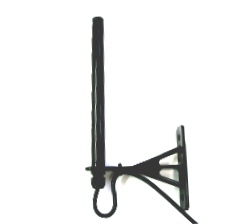 That means that the colour of the antenna and bracket can be changed on customer needs easy.